"SUBPOENA ALL THOSE BASTARDS AND BRING THE CASE ... DESTROY THE TIMES"
On June 13, 1971, the New York Times published on its front page a series of confidential documents outlining U.S. government policy on the war in Vietnam. These documents had been secretly leaked from the Department of Defense to reporters at the New York Times. The government sued to stop publication. The case went to the Supreme Court and the New York Times won. 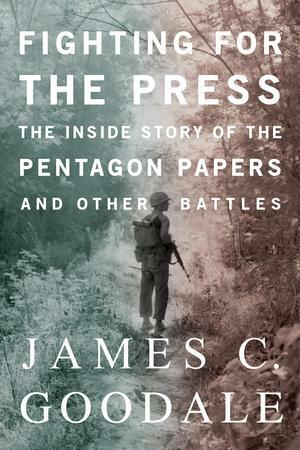 Fighting for the Press is the story of this constitutional victory whose lessons are as essential today as they were in the 1970s - and of the personalities involved, including a disillusioned intellectual, aggressive reporters, meticulous editors, a cautious publisher, a vengeful attorney general, a beleaguered president and, in the middle of it all, the lawyer who urged his clients to fight for the First Amendment.